Sitting in an asadero or barbecue restaurant in Colombia eating a beef, pork or chicken skewer with arepa and papa salada is like heaven to me. Street vendors set up outside the clubs and bars in Medellín, serving all kinds of skewers and grilled corn. The flavor of these Chuzos de Res is fantastic. We marinate all of our meats overnight in Colombia. I remember coming home from the supermarket when I was a girl and watching my mom trim and marinate all the meats she just bought and storing them in plastic bags, which she would label with the date and the type of meat. That was an all day affair, but she had the meat ready for the rest of the week and with amazing flavor.Buen Provecho! Mix the onion, garlic, scallion, ground cumin, beer, salt and pepper in a large zip lock plastic bag. Add the beef and let it marinate overnight or for at least 5 hours in the refrigerator. Preheat the grill to high. Thread the beef onto skewers and brush with olive oil. Grill until browned on all sides, 5 to 7 minutes total. Serve the skewers with a papa salada and small arepa. 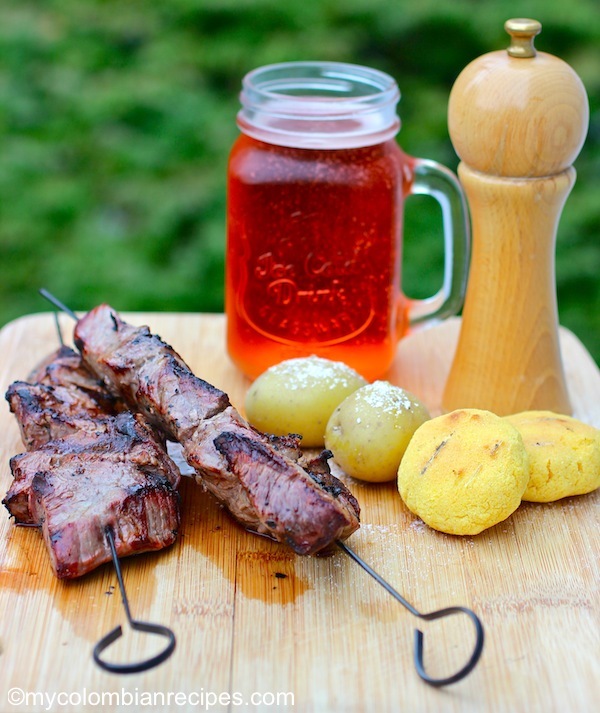 These skewers look delicious, as do your other recipes! 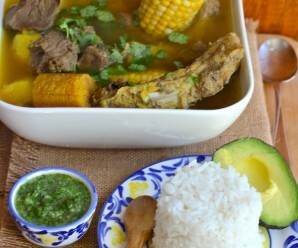 I’ve been browsing your blog and I’m getting really hungry now for some Columbian cooking! Oh…my…goodness. I am looking at heaven on a plate! Looking succulent and all-around delicious! My meat-loving husband would adore me if I made this! The beef skewers look awfully tasty. It’s so much fun to eat things on a stick : ) I have an award for you over on my blog today!! Thank you so much for the award! I really appreciate. This look sooo delicious! I gotta make it for my next bbq..thanks for posting! wow, those look great. anything with garlic and cumin has got to be good. This sounds unbelievably scrumptious. I can feel how they smell. I didn’t know that Turkish and Colombian cuisines are so similar befoıre getting this recipe and meeting you. Thank you so much for your interest. Thank you so much for the award! I appreciate it. I love the prep before hand… one mess and the mains to most dinners looked after for a week! Wonderful 🙂 The skewers look super tasty! Marinating is totally worth the time + effort. The results of tender and flavourful meat are unbeatable! 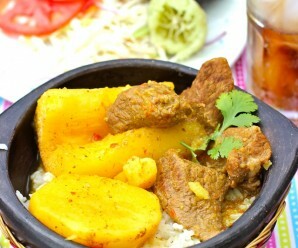 I love the way you describe our food, culture, and traditions,,,You are always right on! You bring me back to Colombia every time I read your delicious recipes and descriptions on how, when, and where we eat them…I’m not a good cook but your recipes are always winners! and my Family is very happy about that 🙂 Te felicito por haber creado esta pagina. Thank you very much for the nice comment! Es bueno saber que te gusta la pagina. Loving how simple the ingredients are and I can only imagine how wonderful it must be. I’m looking forward to making this — another great recipe! Marinating overnight, the savor must be so good. How do you make Arepa Paisa like the one shown in this picture? Is it done in a BBQ grill, oven or skillet? I cooked the round arepa in the grill over low heat, but you can use the Colombian parilla if you have it or just place the arepa in a baking sheet in the oven. Let me know if you have more questions. I use a 2-sided panini grill pan (Cuisinart Griller) to cook my arepas in 7 minutes. I made these (to me they’re pinchos) a few days ago, and I used a thick piece of sirloin because filet (tenderloin) is so expensive. It was great (I made some quick yellow arepas, though white would have been more authentic) and would be even better with tenderloin. I made these for lunch yesterday and we all just loved how they turned out. I always wondered what was that “special” seasoning they used in Colombia for their chuzos and never got it right. Turns out it was beer! Never would’ve thought to use it in my marinade. Don’t change a thing! These are as delicious and authentic as the ones you will buy in Colombia. ¡Erica, mil y mil gracias nuevamente! 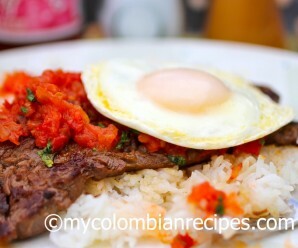 I love Colombian Food and your site is fantastic for people like me. I don’t speak Spanish, but I adore traditional Colombian cuisine. 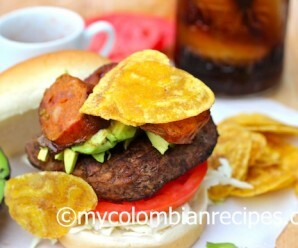 Thank you for this wonderful site about Colombian food. Hi! I have to tell you how thrilled I am to find your site! My 10 yr old daughter & I made a Colombian feast for her gymnastics coaches, who were moving away. They are originally from Bogota so we wanted to impress them with some really authentic recipes, to say thank you for coaching her for 4 years. We made the arroz con pollo, arepas with mozzarella cheese, & the chuzos de res. Juan & Luisa were so impressed with the flavors of the food, they said it was just like “home!” And these recipes are not difficult! It is fresh food and beats the take-out they usually get near their apartment. 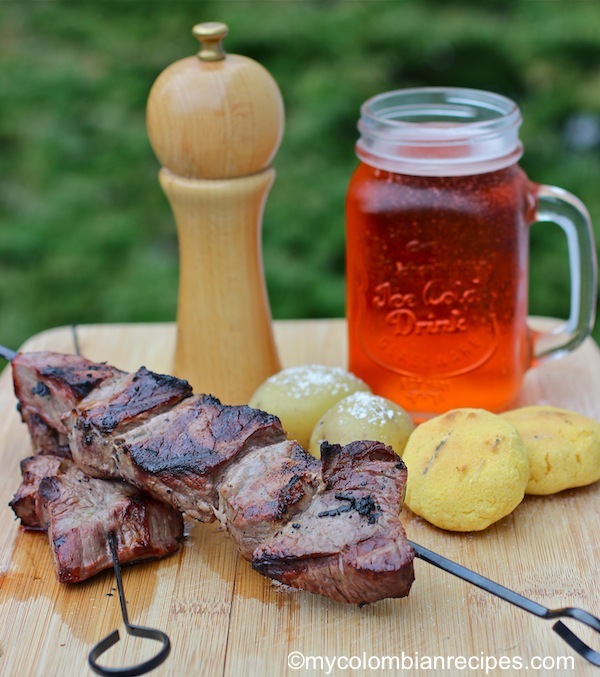 The meat, especially, with the beer marinade…who would of though the beer would add so much flavor??? You can definitely taste the beer, but it really works with the flavor of the meat. It is absolutely mouth-watering! My daughter & I can’t wait to try more of your recipes!!!!! Muchas gracias!!!! Thank you so much for the recipe! I’ve been looking for this for so long now and i am so happy i’ve found yours…I am wondering what kind of meat you used. 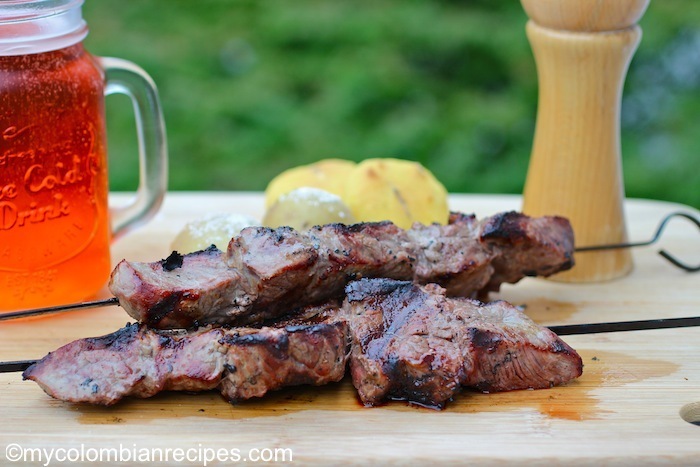 I’ve tried several kinds but they either don’t cook fully or the meat is so hard to eat it does not fall off from the skewer..can you recommend what kind of meat i should buy – rib-eye, NY strip?Thank you! I love making them with filet mignon or sirloin. Can I use the same marinate with pork? Can I replace the beer with anything else? We are an alchohol free home (even if it’s just for cooking).